Have you ever been to a place where the name of the place you’re visiting matched the temperature all around you? That’s what happened to me when I was at the duck pond in Calabasas at the Commons. I had been staying with my grandparents in Ventura County/Camarillo and we were meeting halfway for my mom to pick us up [my brother had stayed over too]. We met at The Commons in Calabasas at their duck and turtle pond. One of the reasons I like the duck pond so much is because at the Commons there is a Fresh Brothers pizza place (which has gluten free crust and dairy free cheese) and a movie theater there. But we were meeting at 4:30, which is too early for dinner. The good news is, though, my mom was late picking us up, so we met at 5:00. That gave me just enough time to try and coax her to let us stay for dinner. She said yes!!!! Well, she didn’t really say it exactly that way but that was my reaction to her agreeing to stay for pizza. But then my brother had a stomach ache. So… no to Fresh Brother’s but yes to leftovers at home? I wasn’t about to let that go this easily. Right next to where my grandmother was sitting with the dogs there was a store called SunLife Organics. 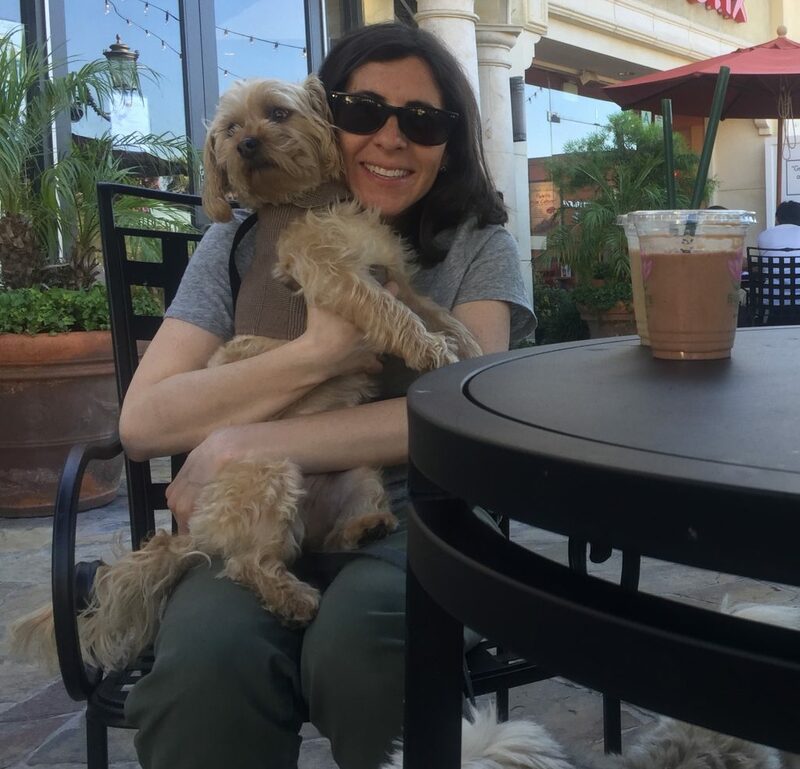 If that name sounds familiar, you might recall I did a post on this place already a long time ago – only it was in Malibu! So my mom decided to let us have smoothies there. I already knew what smoothie I was going to get. I ordered the vanilla protein shake which was made with almond milk. My brother ordered peanut butter chocolate. Right before we left the counter, the woman said that there was frozen yogurt on the house today. And they had vegan yogurt! Obviously, we’ll take some! 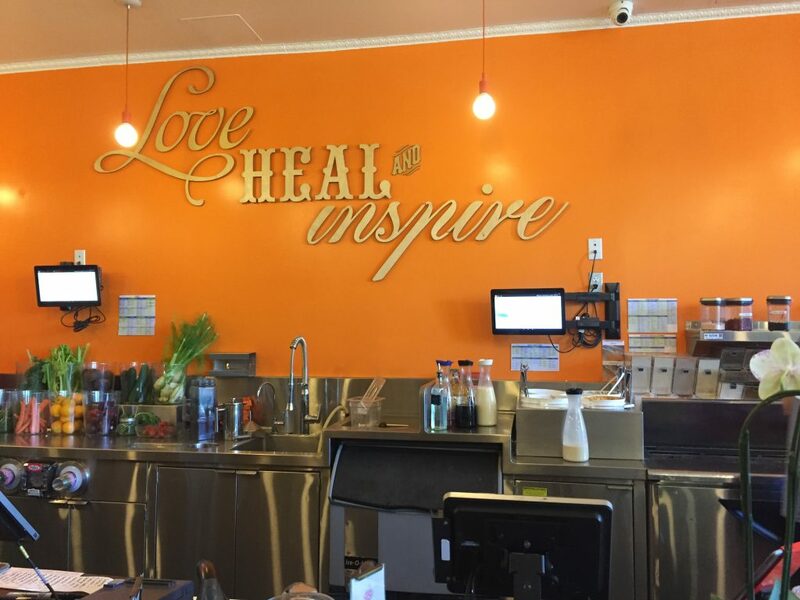 Now, at the location in Malibu I just loved the smoothies. 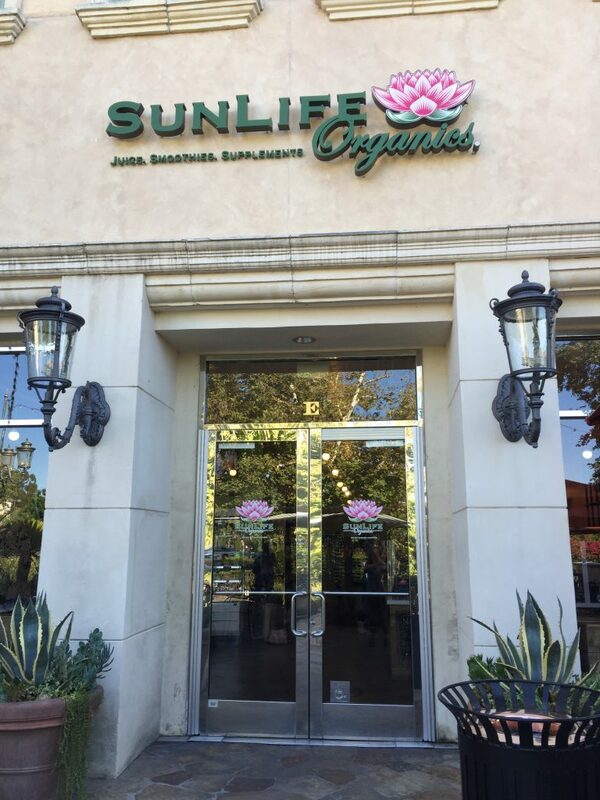 But here, in Calabasas at SunLife Organics, the frozen yogurt was SO GOOD that the smoothie itself couldn’t compare!!! You know, like when you have ice cream or something, after you eat it, when you take a sip of water it tastes warm? It was the same thing here with the yogurt. So creamy. So cold. So delicious. My mom had my leftover smoothie and my dogs got nothing. Poor dogs. 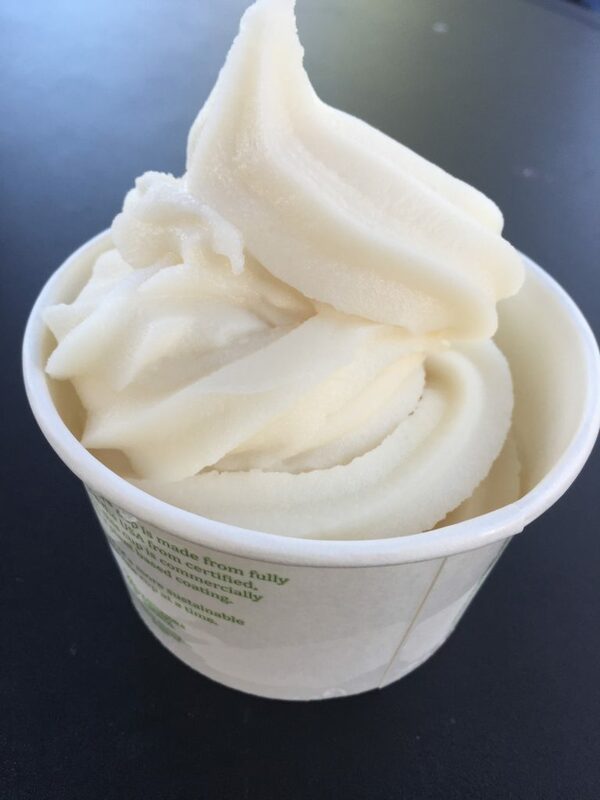 So, if you are ever in Calabasas, if the day is hot or cold, stop by SunLife for some frozen yogurt- on the house or not you will be happy to cool off with the frozen yogurt here! 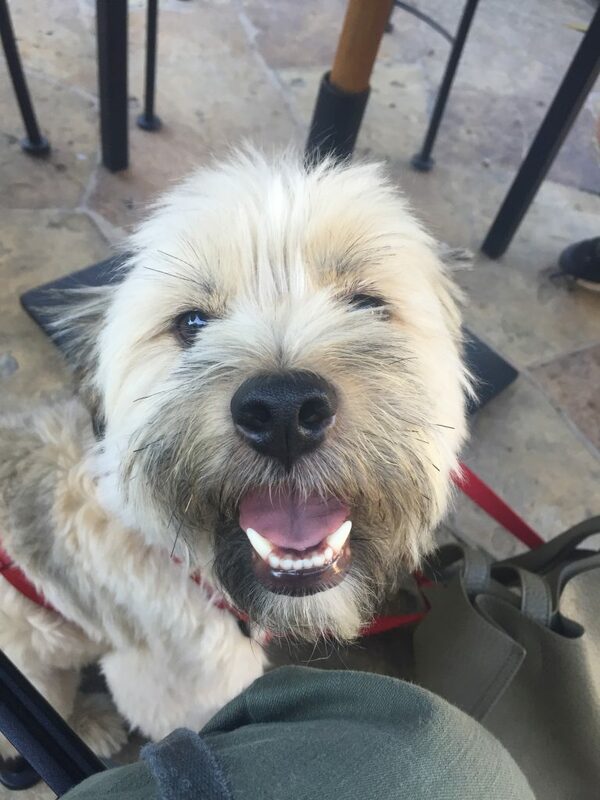 That yogurt looks great, so does that movie star with your dog! 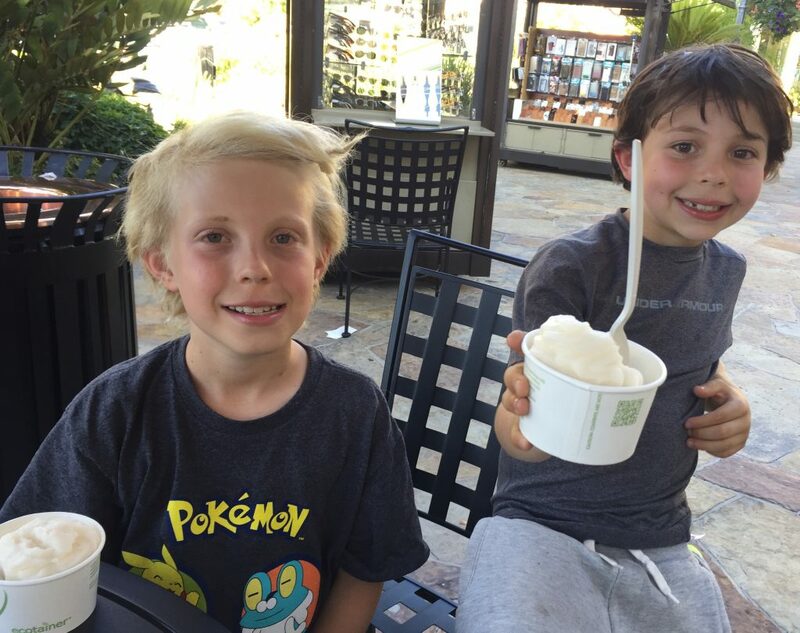 Hope you’re having a fun summer filled with smoothies and frozen yogurts! Keep an eye out for my blog post this week and you’ll see another thing that is yummy for summer!